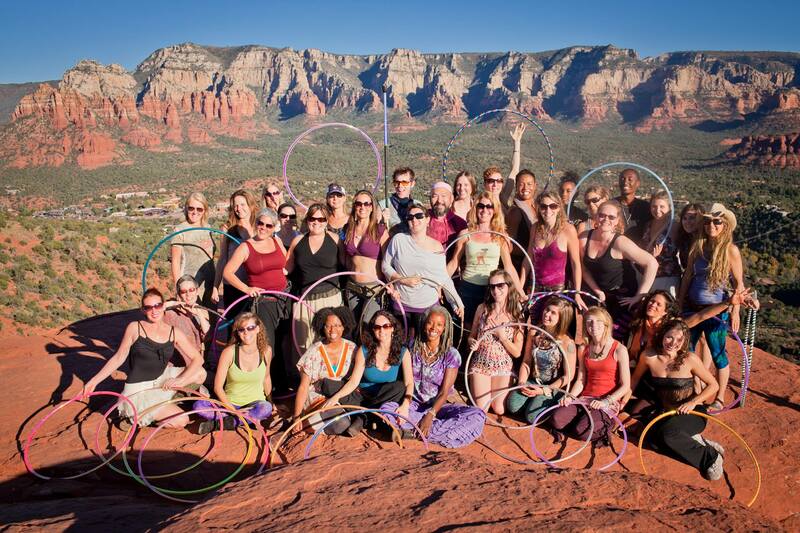 Sacred Circularities Sedona 2013. Whoa. Wow, how can I possibly sum up one of the most intense, beautiful and expanding experiences of my life? I’ve been crafting this post since I returned from the Sacred Circularities Sedona Retreat, almost a month ago now, partly because there is so much to say about the experience but I think also because I’ve had to take some time for integration. Also, life has been ridiculously busy since I came back home. I’ve come to the conclusion that I don’t really think I can capture it all in one little blog post, but I’m sure gonna try. I boarded a plane, looking for a little break from my busy life, some time to get reacquainted with my hoops and with the intention to celebrate my 30th birthday doing something awesome. I got all of that, and so much more. The desert consumed me. As soon as I hit the road to Sedona I became immersed in the present moment. Though only six days long, Sacred Circularities nourished me more than any vacation I’ve ever taken and I’ve even spent 6 weeks in Thailand! The land was a perfect container to allow for self exploration, expansion, contraction and growth. Boynton Canyon, just outside of Sedona. My personal intention was to allow myself to be seen. As an introvert in group settings I often have the tendency to shrink into myself. For these 6 days I wanted to push out of my comfort zone, to allow myself to connect with strangers and to let go of any self judgement that was hanging around and holding me back. I declared this intention in opening circle, staring into my lap with my hair hanging in front of my face. I was not off to a very good start, but called myself out on this and experienced my first real moment of being seen. Many more followed. Every day I learned something about myself. Each experience I had sparked a transformation inside of me. I’m so grateful for the gift I gave to myself, the gift of time and space to journey deep. I kept my cosmic appointment. I was where I needed to be on the final days leading up my 30th birthday, my Saturn return. It was no coincidence this particular group of people had gathered at this exact place and time. I learned so much, but three main lessons came to light. The first real workshop I attended was Qi Gong with Shellie White Light of The Healthy Hooper. At 8am on Monday morning, I began an intensely wonderful breath of empowerment journey. She emphasized the “work” part, as the breath is intense and can be uncomfortable but the results were amazing. I’ve done similar breathwork before and it’s amazing how it activates your body. By the end I felt every limiting belief I had dissolve into nothingness while simultaneously fully embodying joy and love and excitement for what I was calling in to create for my most epic 30th year, the next week and the sheer excitement that this was only the first workshop! The rest of the day proved to be amazing as well. 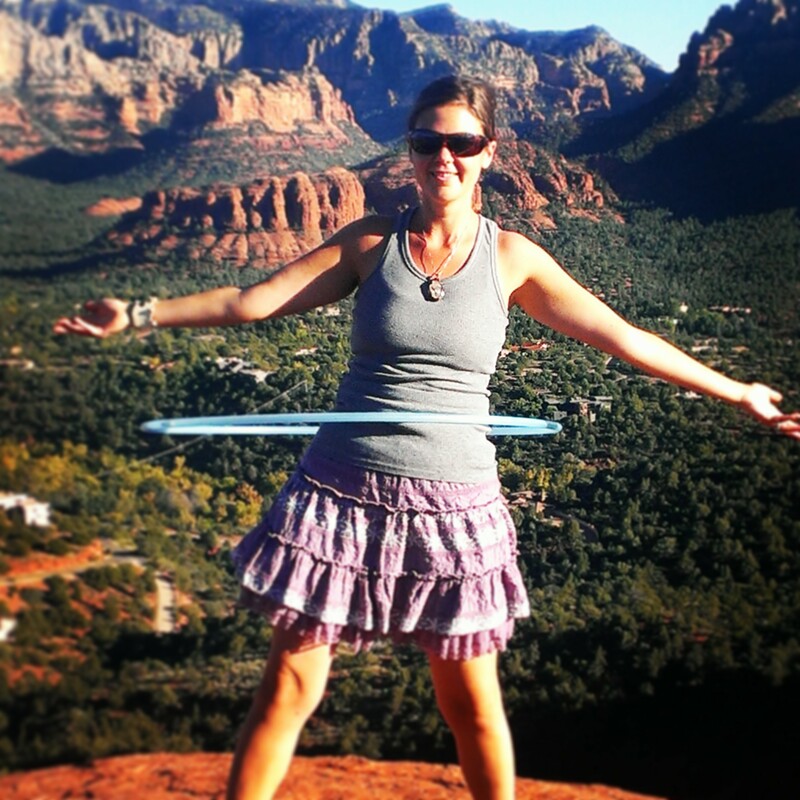 In Jocelyn Gordon’s HoopYogini™class we declared life is awesome as we awakened and strengthened our bodies using a hybrid of yoga and hooping and then, well, I went all the way with Hoopalicious. How did I go all the way with Hoopalicious you ask? During her core conditioning workshop, she mentioned that even though what we were doing might be hard on the body, we were never going to be in this exact place, at this exact, time with these people again and we might as well go all the way. Going all the way in Malaika’s African Dance workshop. Photo courtesy of Cadencia Photography. Who could resist going all the way with Hoopalicious? Not me! I booty bumped my way around the room like nobody’s business. It was awesome, and Anah, I would buy the “I went all the way with Hoopalicious” t-shirt :P. Anytime during the week that I was feeling tired or felt like crawling back into my shell, I remembered those words and went all the way. Nothing has ever motivated me to live fully in the present as much as those words did and now that I’m back to my regular life, I’ve been trying to live that every day. I was blessed to have many moments of clarity over the week. In each workshop or ceremony I was given a gift. 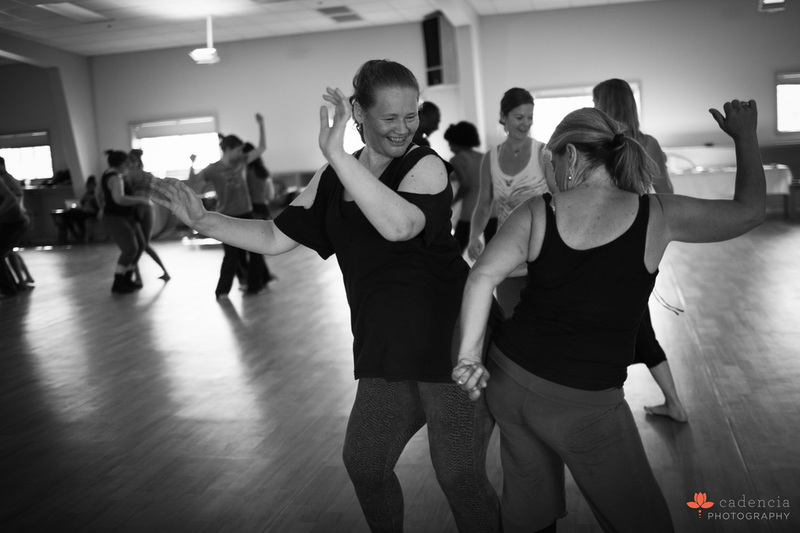 A key message from an instructor, the time to explore a new movement or the space to more deeply explore a feeling than I’d allowed myself to before. Every moment there was precious. I have never had the gift of being around so many mirrors before. Each person there showed me something about myself that I needed to see to further my personal evolution, I am so grateful. Prior to our Five Elements ecstatic dance journey, our facilitator Malaika Darville encouraged us to be authentic in our dance. 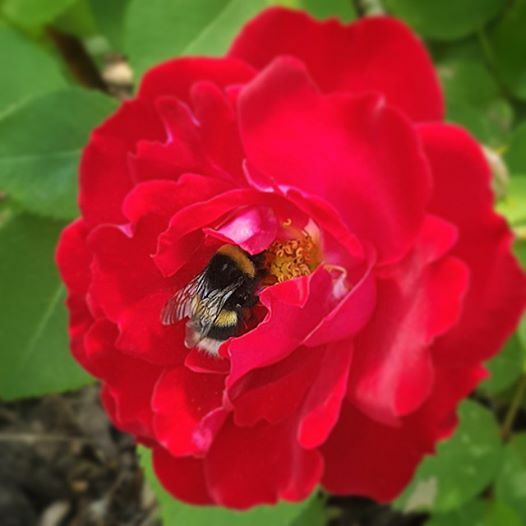 She pointed out that no one looks at a rose and wonders why it isn’t a daffodil. When she said that, she didn’t know my last name is Rose, but I knew that message was meant for me. I don’t need to be anyone else except for myself. I’m Nicole Rose, not Nicole Daffodil and no one expects me to be Nicole Daffodil so I just need to remember to be happy with being Nicole Rose. This message, along with the messages received after my epic birthday Lomi Lomi massage from Malaika, reminded me that where I am in life right now is perfect. What I’m doing in life right now is perfect. I am exactly where I’m supposed to be. I need to let go of all the things I think I should be doing, like teaching more hoop classes or working more on growing my business or practicing fire hooping. I’ve always felt like I should like fire hooping. I’ve tried it out a few times now and I just don’t get excited about it but thought maybe I should keep trying because it’s something I should like. Being myself, celebrating my 30th birthday in the healing garden at Sedona Mago Retreat Center. I celebrated my 30th birthday at Sacred Circularities.That night there happened to be a full moon and eclipse and a fire hooping ceremony to go along with it. Once again, I felt like I should try fire hooping because it seemed like it was something awesome to do on my birthday. I ended up being a bit stressed the entire time, waiting for my turn because I knew that I really didn’t want to fire hoop, but I wasn’t listening to myself and was gong to do it anyways. I was so relieved when we ran out of time and didn’t get a turn because it turns out I just really don’t like fire hooping. And that is OK. Thanks universe, I get the message – be yourself, listen to yourself and be gentle with yourself. I’ve often felt out of balance in life. I get really caught up in human doing and don’t allow myself to practice human being. Even when I do relax, I’m still doing something, like hooping or yoga or this or that. That feels like an excess of masculine energy. On the other hand I can be indecisive in decision making, never fully trusting my intuition. An imbalance in feminine energy perhaps. I’ve always felt like I’m the most out of balance Libra around, giving that the symbol is scales. Throughout the course of the week, I had many lessons pop up to bring my masculine and feminine energy into balance within me. In Khan Wong’s workshop on creating an authentic hoop practice, I ended up partnered with the only male in the group in an exercise that had me being intensely witnessed by my partner. I thought I was at Sacred Circularities to be seen by others but this experience helped me to see that I did not yet see myself as a woman. I’m not so sure why I hadn’t made the jump into womanhood yet, but that’s OK, I reminded myself, because where I’m at is perfect and turning 30 seems like the perfect time to start feeling like a woman anyhow. In Khan’s second workshop, we delved deeper into authenticity. I discovered that my favourite moves were either breaks & reversals or just being really fluid and flowy. I then saw that these moves represented masculine and feminine. I can be the feminine with soft, fluid, flowy movements as well as the masculine with fast, linear breaks and reversals. I was able to see that my hoop practice is a balance of the divine feminine and divine masculine and every time I hoop I dance these two energies into balance inside of me. Whoa. All of that was within me and happening for 5+ years and I had never given myself the opportunity to see it until now. It’s truly amazing all the meaning you can find in life if you just give yourself an opportunity to explore. Taking the opportunity to explore hooping atop a mountain. I love hooping workshops because they give me time to play and I’m constantly in awe of the instructors who have given themselves the time and space to explore. The hoop really is infinite and every time I am taught by a new instructor I see that all over again. Learning from Beth Lavinder, Ann Humphreys and Julia Hartsell for the first time allowed me to take a peek into each of their practices and see an authentic piece of each one of them. What a privilege! I have such gratitude for this whole experience. So much love for Jaguar Mary for dreaming up such an amazing retreat and so much love for all the instructors and facilitators too. I could write a full blog post for each workshop I attended and how deeply it impacted me. Sacred cacao ceremony, dream-time soul making, ecstatic dance, African dance, Five Elements dance, theta healing, yin yoga, hoop kirtan and of course hooping, so much hooping! Hooping with Beth Lavinder, Anne Humphreys, Julia Hartsell, Rainbow Michael, Jocelyn Gordon, Khan Wong and Hoopalicious. Wow! Each hooping class was filled with more than just tricks or concepts. Each instructor put so much into their workshop and the message aligned perfectly with the lesson from the workshop before. Often, I was given an opportunity to explore being authentic which allowed me to be seen as that from others. Each workshop seemed to come at the perfect time, offering me exactly what I needed to experience so I could expand, contract and grow. Since I’ve been home, I’ve tried to incorporate all of these lessons and learning and love into my daily life because I feel it needs to be spread around the world and not just stay in Sedona. I had one decompression day before I went back to work. I started off Monday feeling great, but by Friday I was bagged and worn out by an intense work week. That night though, while dancing in a garage with 30 of my friends, at the best halloween house party ever, I felt the magic feelings from Sacred Circularities arise from within me once more and I knew that while the sparkly feelings may fade, I can always come back to them because they will always be inside of me. These past few weeks since I’ve been home have been busy, but I am constantly reminding myself that I can always bring myself back to the magic I experienced at Sacred Circularities. I hope to go back to experience this amazing retreat next year. One thing I didn’t really touch on was how awesome all the other hoopers there were. I came in only knowing a couple of people and left with 30+ new friends and an even stronger connection to the world hoop community! If you’ve been inspired to attend after reading this post, I encourage you to do it. If you register before November 15, 2013, you can register for almost half off the full price! I can almost guarantee you will not be disappointed.